Dijon mustard has a strong international reputation. It is made as before to the grindstone by Fallot from brown mustard seeds and vinegar. Less known than the Dijon mustard, The blackcurrant liqueur from Dijon has a reputation, however significant, so the idea of ​​the blackcurrant Dijon Mustard came almost naturally. 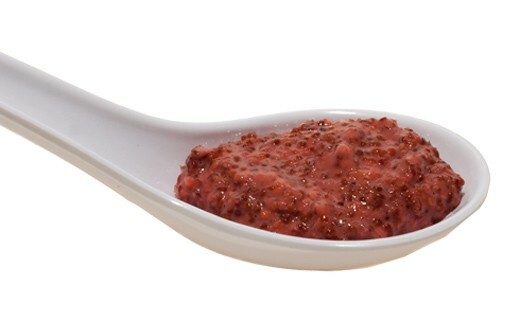 With its fruity taste, it is excellent with game and in salad dressings that it colors nicely. 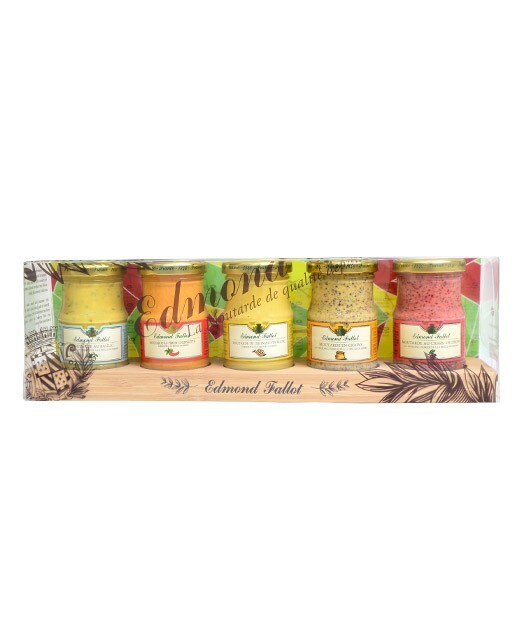 water, mustard seeds, white wine with sulfites (16.3%), vinegar,black currant cream from Dijon (5.4%), salt, natural aroma of black currant, mustard tegument, cochineal dye (with milk), sugar. 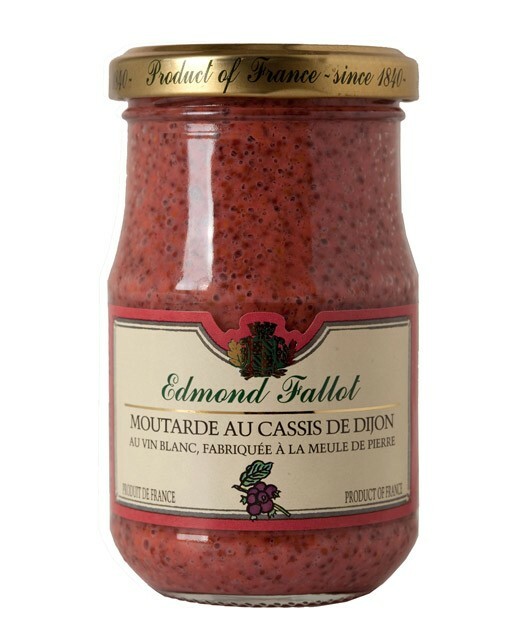 It is at Beaune that the Moutarderie Fallot (the last independent family and estate of Bourgogne) uses its artisan knowledge, passed down from generation to generation since 1840, to make its exceptional mustards. By processing the grains using millstone to preserve all the gustative properties of the paste. Such a big chef, the Moutarderie Fallot combines savour and taste. The subtly balanced flavours of its mustards are produced using authentic ingredients, of good quality and the best origins. With this in mind it comes as no surprise that the Moutardes Fallot are used by the best chefs in the industry; from Paul Bocuse to Georges Blanc, not to mention Patrick Bertron, chef at the Relais Bernard Loiseau, and who worked with the Moutarderie Fallot to create its range of completely original and exotically flavoured gourmet mustards.